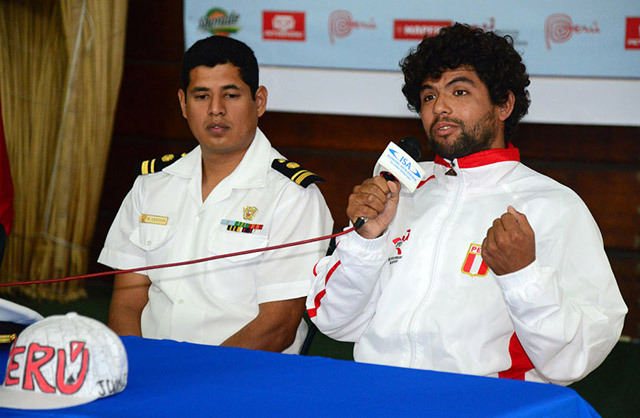 Posted September 22nd, 2013 - News Posted for ISA News. 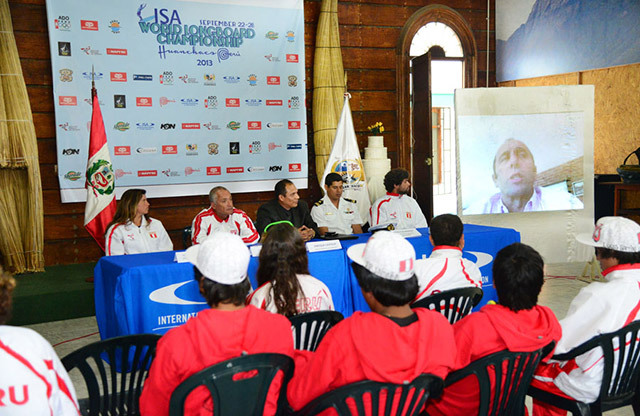 The 2013 ISA World Longboard Championship starts Sunday with the Opening Ceremony featuring the Parade of Nations and Sands of the World Ceremony. 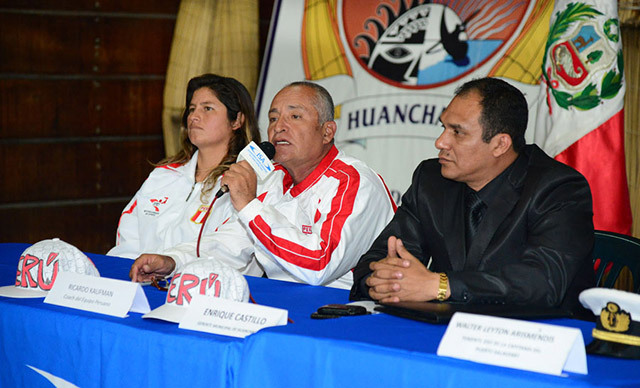 All 23 National Teams and participating athletes will gather and parade down the streets along El Elio Beach in Huanchaco in front of thousands of local spectators. 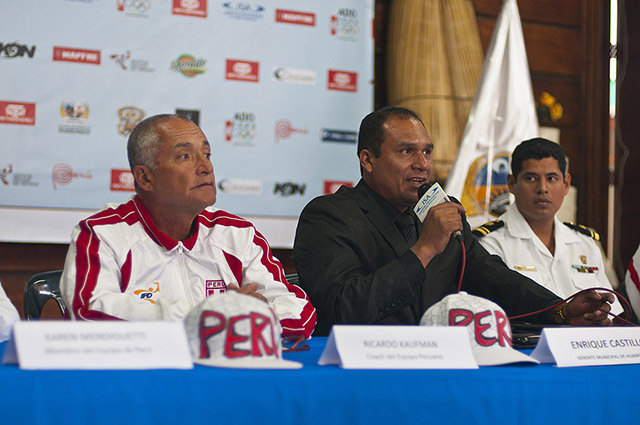 Today, the Official Press Conference took place in the Huanchaco Municipality Auditorium built in 1912, where many of Peru’s leading media outlets were present. 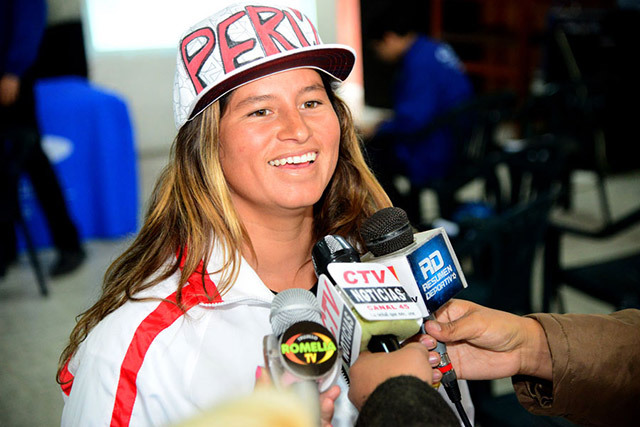 On Sunday, the Opening Ceremony will officially mark the start of the World Championship, which will feature the ISA’s traditional Parade of Nations and Sands of the World Ceremony. This ceremony allows each participating nation to come to the stage waving their national flag while pouring sand from their local beach into a glass container symbolizing the peaceful gathering of nations through the love of surfing.